What's new in this version 5.90? Extra option to contact someone without saving his number. Freeze last seen, hide blue ticks and second ticks and much more. You can even create your own theme and send it to the developer. Customize your application logo and notification bar. SMS Verification working absolutely fine. You can also colorize the status bar and nav bars easily. Don’t open your chats every time to check the person is online or not. Just open the application and you will get a toast notification. Status limit increased to 255 characters instead of 139 and that too server site. Send above 90 images at one time instead of 10 images. You can also send video above 16 MB on KLWhatsApp. You can add up to 600 peoples in broadcast list. No ban issues use as much as you can. ( I am using from 6 months no such issues). Support voice calls and you can disable calls too. A different server of themes from which you can download different type of themes. Change style of blue ticks and messages. You can create your own iOS type theme for KLWhatsApp. Counter statistics of the group which shows, which person has sent how many messages. You can preview media without downloading in your device. Show your WhatsApp status always online. You can hide date, time and contact name while copying the text. Always updates available of the KLWhatsApp. Hide the notifications of the messages. You can download the status of other users. There is a small message showing that your message is broadcast message or normal text. You can click on the status and the message will be copied to your clipboard. You can copy specific text in the message. You don’t need to copy the full text and edit it. You can also hide specific message of groups and chats. You can check your friends last seen from the main screen. 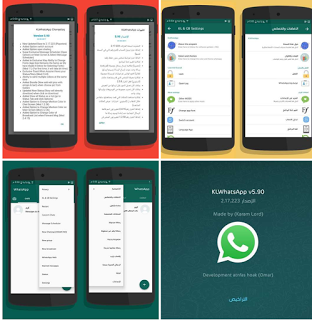 You can send any kind of doc files using KLWhatsApp Bring bac old user interface wthout WhatsApp Status. You can also save other people status on WhatsApp. 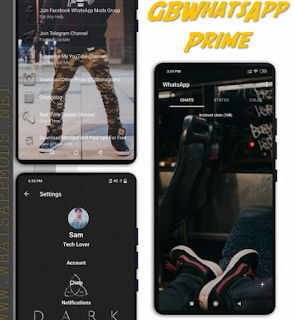 0 Response to "KLWhatsApp Plus v5.90"